A rice farmer from Dexter, Mo., asked his U.S. representative a question more than 15 years ago that launched two Missouri lawmakers into the first successful effort to open Cuba to U.S. trade since the embargo in the early 1960s. The change came with restrictions that the Obama administration is now trying to remove, but it was the first crack in that trade wall. Former Republican Rep. Jo Ann Emerson says she started work to lessen the U.S. embargo against Cuba because of Sonny Martin, a rice farmer. Martin passed away last fall, but the Martin family is still prominent among the state’s rice producers. Jim Howard talks with rice farmers and two southern Missouri congressional politicians who cracked the Cuban embargo 15 years ago. 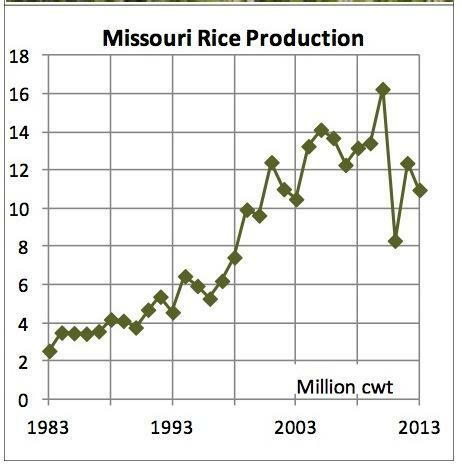 Rice in Missouri is grown mostly in the Bootheel. She soon found other ag-state lawmakers on Capitol Hill who were getting similar questions from their farmers. Emerson quickly joined forces with other “like-minded aggies,” who began discussing whether they wanted to “undertake this effort to open up trade, at least for agriculture products, with Cuba,” Emerson said. They would be going up against 40 years of U.S. policy toward Cuba that was fervently supported by many. “We put together a large coalition” and from there formed the Cuba working group, that was composed “not only of our fellow aggies but also a lot of members who simply thought that the embargo the United States had with Cuba was just wrongheaded policy,” Emerson said. In addition to the large bipartisan make up of the coalition, Emerson said fate played a hand in the group’s success. In that year, 1999, both the custody fight over Elian Gonzalez, a young Cuban boy whose mother had drown while trying to bring her son to the U.S., and a hurricane that caused widespread damage to Cuba’s agricultural production, helped build support for the group’s efforts. “We took advantage of those opportunities and the climate was right for us on a humanitarian basis to help give food and commodities to Cuba, even though we didn’t have any kind of relationship with them,” Emerson said. The group was able to get language into an appropriations bill for the federal office that oversees business licensing for trade with foreign countries, but opposition was strong, both from Cuban American members of Congress and her own majority leader, U.S. Rep. Tom DeLay, R-Texas. Emerson said DeLay, who didn’t normally attend appropriations committee meetings, did attend those at which the group’s language was to be voted on. “Perhaps Congressman DeLay came purposely to intimidate folks, but nobody fell down, and we were really excited about the vote. … I was really proud of all our colleagues who had made commitments to us to support our language in the committee. … Every single one of them came through, we didn’t lose a single vote,” Emerson said. Emerson said that “very bipartisan” victory set the stage for a late-night meeting with leadership to negotiate an agreement that both “the Cuban American colleagues who were totally opposed to what we had done” and the Cuba working group could live with. Negotiating that compromise fell to another Missouri Republican, then Rep. Roy Blunt. “We negotiated a new system where the Cuban government could buy food products, but they had to pay for the food products before they were unloaded,” Blunt said in an interview with St. Louis Public Radio. That “Cash-Up-Front” requirement still governs how Cuba purchases U.S. goods. Blunt is a vocal opponent of allowing Cuba access to credit for such purchases as long as what he calls the “Castro brothers” Raul and Fidel, remain in control. That position puts Blunt at odds with the state’s rice producers and other farm constituents, who are usually quick to call the senator a friend. Greg Yielding, with both the U.S. Rice Producers Association and the Missouri Rice Council said, "On this one, I think the senator just needs to know that ag is for trade. … It’s just not fair to the farmers for the government to shut-down a market when other people and other countries are getting that market, and those people are getting paid. I mean Brazil’s not shipping them stuff for free and the EU’s not shipping them food for free,” Yielding said. At a February meeting of Missouri rice farmers in Dexter, Yielding, put up a large slide on a projection screen with Blunt’s office phone numbers and urged farmers to call the senator to ask him to support legislation expanding trade and extending credit to Cuba. Yielding said even if some lawmakers don’t want to provide credit to Cuba through various federal programs, “just open it up for the private banking and private businesses and let them try to do it. … don’t just shut off a market of 11-million people that’s so close,” Yielding said. 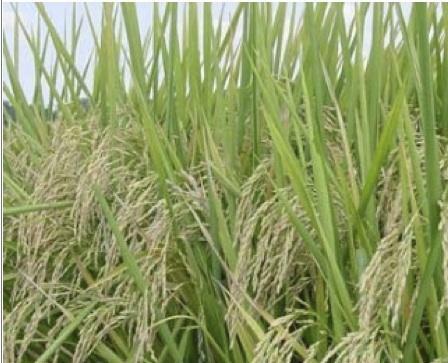 Cuba has the potential to be a lucrative market for rice producers. The average Cuban eats about 120 pounds of rice a year, according to Yielding. By comparison, the average American consumes about 25 pounds of rice a year, with about four pounds of that coming from drinking beer, according to the U.S. Rice Producers Association. Several pieces of legislation are pending in Congress to ease travel restrictions and allow for increased trade with Cuba. So far, those bills don’t seem to have enough support to win approval this session. This week, the U.S. and Cuba announced plans to open embassies as part of a renewal of formal diplomatic relations. President Obama’s decision to change U.S. policy on Cuba comes after a half century of icy relations. The announcement came as a surprise to many, including Julia Sweig, director for Latin American studies at the Council on Foreign Relations. 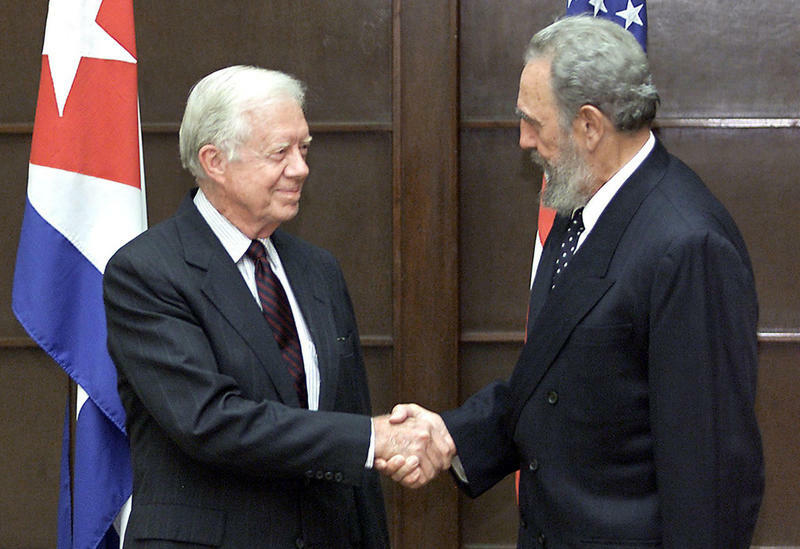 Sweig joined Here & Now’s Jeremy Hobson to discuss the history of the struggle between the two nations and outline what the opening of diplomatic relations and easing of restrictions will mean both for Cuba and the United States.